Color branding has been used in corporate identity branding for years to invoke emotion and is an element of brand recognition. Color is an obvious identifier, and it helps us create meaningful and memorable associations. For example, a red stop sign. Would you stop if it were green instead of red? And then there’s the venerable Coca-Cola red—so iconic that the when the company chose to use white cans with red lettering during the 2011 holiday season, confusion among consumers ensued. Take the IBM blue, for example. The company is often referred to as “Big Blue” and their supercomputer developed a few years ago to help study bimolecular phenomena was referred to as “Blue Gene.” Would either of these pseudonyms have occurred without color branding? In the IBM example, color not only served as an identifier, but also provided additional corporate color branding opportunity—an extensible brand! Numerous research reports have confirmed why color matters in corporate identity branding. Factors including engagement, success, recognition, and increased sales have all been attributed in part to color and the psychology behind colors. In consumer brand packaging alone, color can increase brand recognition by 80%, in addition to making your package stand out on a crowded retail shelf. Before you rush out to trademark your signature color, keep in mind the function of color. Function is often the key determinant in legal cases relative to color branding. If the sole function of color is to identify the product source, then often courts will uphold a color trademark. However, the esthetic aspect of color is usually not enough to uphold a trademark. Then there’s the use of color name versus just the color itself. If the color name in addition to the color itself is used, there may be trademark potential. For example, Syracuse University uses the color orange in its sports apparel, but the team also shares the name orange. The university registered a trademark on the word orange. Although the application of color trademarks has held up in some U.S. courts of law, there are cases where branding color using a trademark has not held up in court. This double-edged legal sword recognizes that color identity can receive trademark protection, but it also asserts that colors are finite and could put a competitor at a disadvantage. So the functionality argument is still the litmus test for whether or not a color trademark can be obtained or upheld in a court of law. Branding Color… Is Color Really Finite? When it comes to color being finite, the late Albert H. Munsell would likely beg to differ. His Munsell Color Space was not only scientifically based, but also visually grounded, making the color possibilities nearly limitless. If you can imagine a color you can locate it within Munsell color space—especially given the three attributes of hue, value and chroma. With varying degrees of each color attribute, you can create nearly limitless color possibilities. In fact, that’s the beauty of Munsell Color Standards. Your corporate color branding and product branding color can be standardized and the standards reproducible with precision that’s measurable using a spectrophotometer to within a difference that even the human eye cannot detect! You can have a color customized to suite your brand identity or choose a color from the existing Munsell Book of Color. 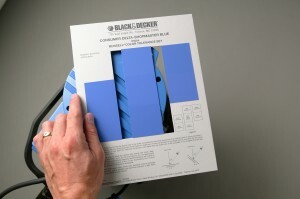 Either way, your color will be made into standards that you can distribute to your vendors and suppliers. Who knows, perhaps establishing a scientifically notated and consistently reproducible color will hold more weight in the legal system. We’ll save that one for another post! Contact Munsell to learn more about corporate branding color.